When Radiohead re-emerged in 2000 with Kid A, we heard a vastly different band than what we heard on 1997’s landmark album OK Computer. The Radiohead of the new century incorporated electronica into their formerly guitar dominated sound and ultimately helped reshape their musical destiny while still managing to hold on to their fans. 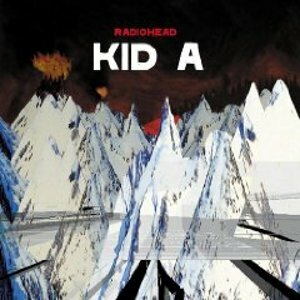 This deluxe edition reissue of Kid A includes the original stellar record with highlights such as the atmospheric “Everything In Its Right Place” and “Morning Bell” as well as the upbeat “Idioteque” and the bass-driven “The National Anthem”. The bonus CD contained in this set features 13 tracks, all of which are recorded live. Highlights of these songs include a truly vibrant takes on “Everything In Its Right Place” and “Idioteque” (both recorded for Canal in France in 2001) as well as “Optimistic”, recorded at a show in England in October 2000. The live tracks add a new dimension to the Kid A listening experience and make investing in this reissue a very worthwhile endeavour.